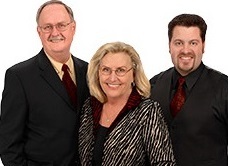 Jerry, Gayle, and Steven Smith have made The Woodlands area their home since 1998. After 19 relocations and Jerry's retirement in 2001 from a distinguished career in the oil field, the Smith Team Realty was formed. Fueled by their desire to help others through the relocation process, The Smith Team plays a vital role in their clients feeling welcome and at home in their new environment. They provide personalized support tailored to each clients real estate needs and often develop personal relationships that extend well beyond the home buying/selling process. Whether it's a first time home buyer, luxury home or downsizing retiree, The Smith Team will treat you like family and put your needs first. The Smith Team also believes in giving back by participating in the "Keller Williams Cares" charitable giving program, and is actively involved in The Woodlands Church, where they share and practice the values they live by.